Holy brow, Benefit seriously know what they're doing when it comes to being ahead of the game, don't they? 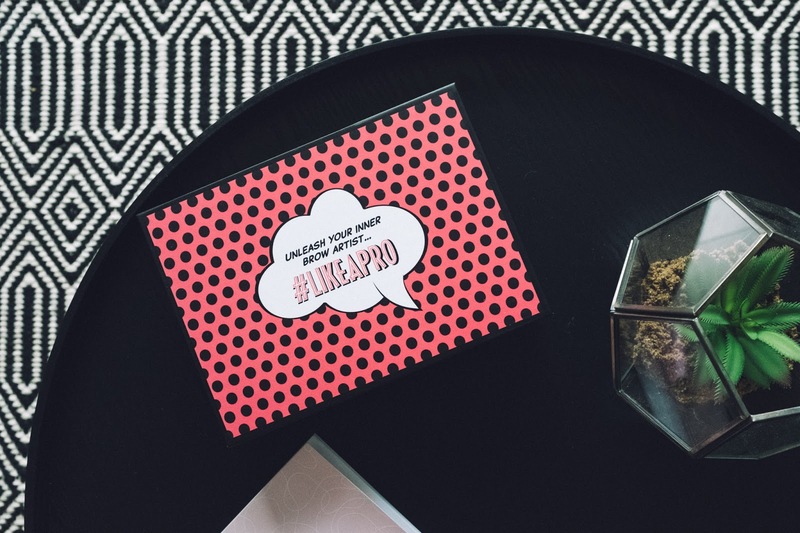 Once again, they stand at the forefront of fresh, revolutionary makeup launches, and their latest is no different. Say hello to Benefit Brow Contour Pro* (£28.50). 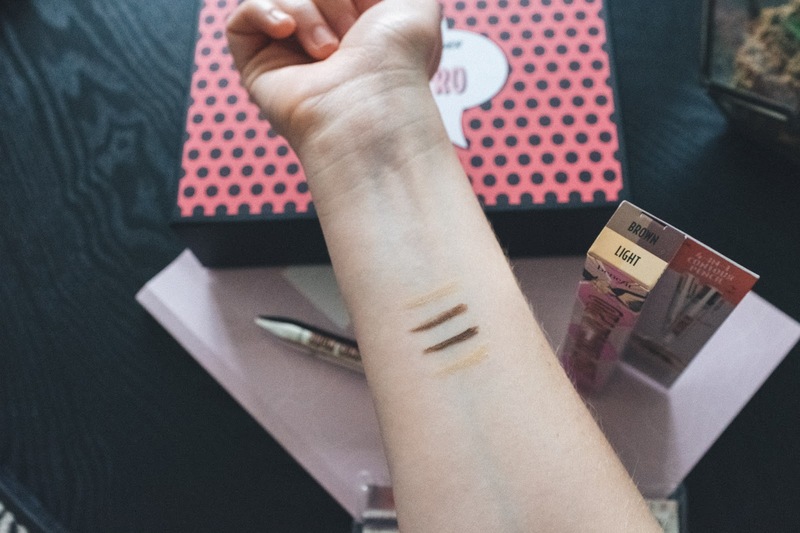 A 4-in-1 contour pencil, it's basically your fool-proof way to getting the eyebrows you've always dreamed of. Remember those magical colouring in pens you used in back in the day? Well, Benefit have clearly been reminiscing, as this release is exactly that, only in makeup form. I know right? Epic. Excuse the bare nail situation we've got going on here, but as you can see, this little addition is the perfect tool for everything from commute makeup, to staycations. It takes up practically no room in your makeup bag, yet consists of everything you could ever need brow-wise. This is a cracking product, though admittedly, if you're fairly low-key with your eyebrows, you'll most likely prefer the Benefit Gimme Brow (which is amazing, fyi), as it doesn't require quite so much time or focus. 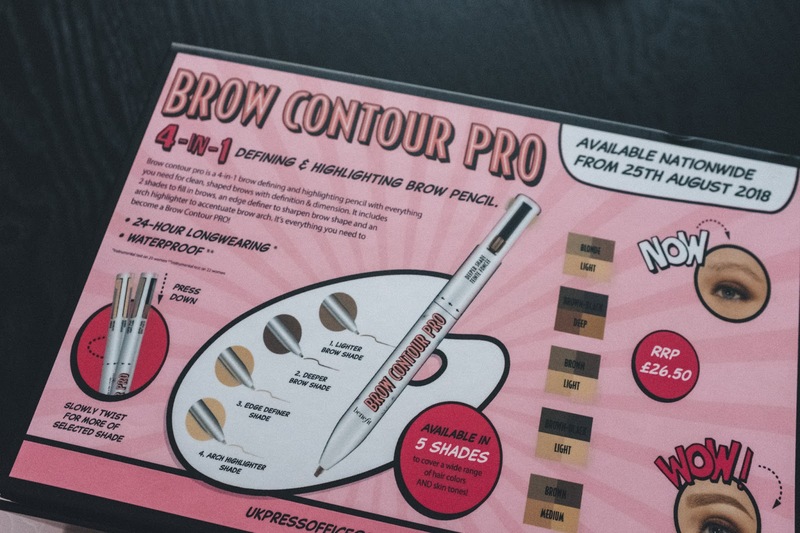 Having said that, if you're after more perfected brows, then that time is time well spent with the Brow Contour Pro*. Mine are definitely due a little bit of attention from the ol' tweezers, but you can see below the before and after from using the pen (left is pre-use, right is post-use). Yet again, Benefit have nailed it, so if you're keen to up your brow game, this is undoubtedly where it's at. 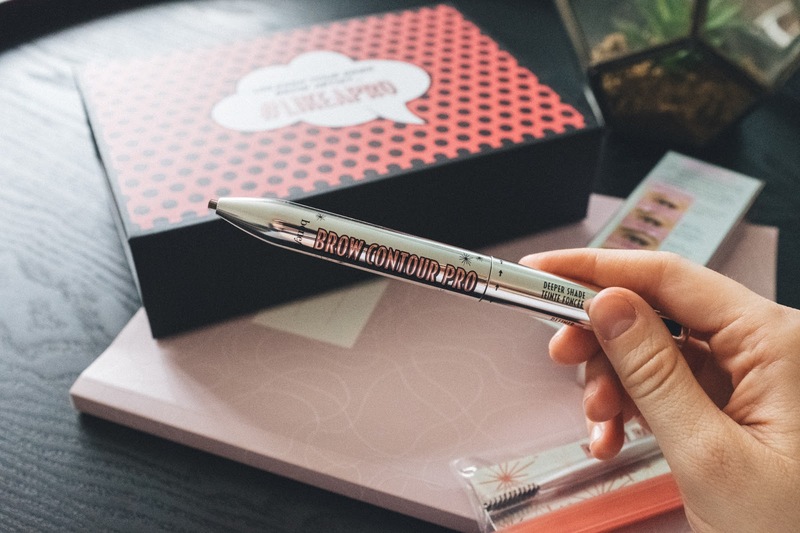 The official launch was originally set to be the 25th August, but you can *very excitingly* already snap up the Benefit Brow Contour Pro* from their website if you fancy giving it a try for yourself! Will you be snapping up Benefit's latest release? What are your favourite on-the-go products? I'd love to know your recommendations!